Тема: New replicas, parts and accessories from PTS! 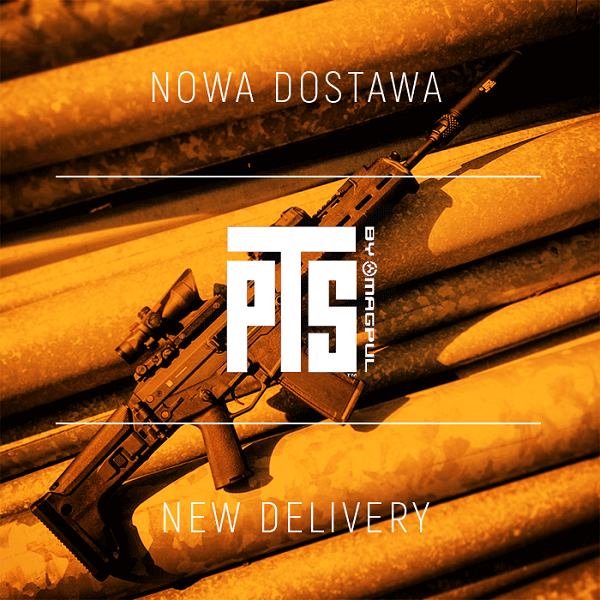 In our latest delivery, we have received brand new items from PTS! 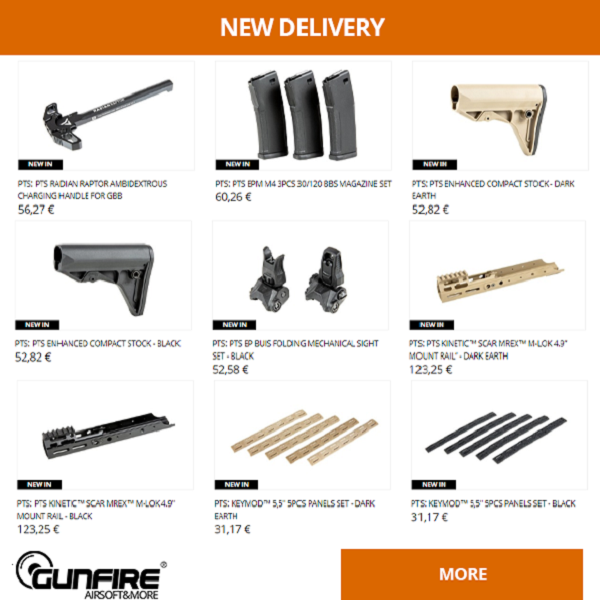 Among them are Enhanced Compact stocks, Kinetic™ SCAR MREX™ mount rails and other accessories as well as CM4 replicas manufactured under the Centurion Arms license equipped with Electric Recoil system.